October 1, 2015 - If you haven't already picked up the 6-inch Marvel Legends Daredevil action figure that is an exclusive to Walgreens, this week is a good time to order him online! At the moment, Walgreens.com is offering free shipping on orders of $35 or more (with some restrictions), and they've also sent out an email newsletter with a coupon code for 20% off your regular-price order. Use code LEAF20 for the discount, good through October 3rd. Don't forget about their exclusive Ant-Man figure, which is still available online but is also still available at their stores. BURBANK, California, Nov. 7, 2013 -- The Walt Disney Co. and Netflix Inc. today announced an unprecedented deal for Marvel TV to bring multiple original series of live-action adventures of four of Marvel's most popular characters exclusively to the world's leading internet TV Network beginning in 2015. This pioneering agreement calls for Marvel to develop four serialised programmes leading to a miniseries programming event. 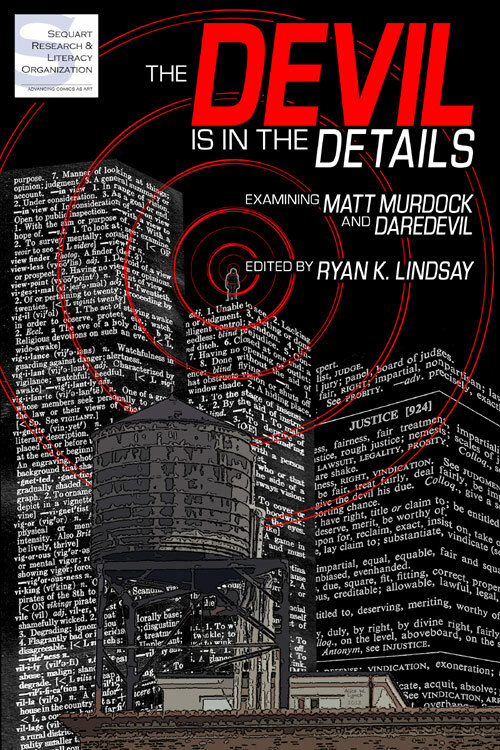 April 2013 - Sequart Research & Literacy Organization (http://sequart.org) is proud to announce the release of its newest book of comics analysis, The Devil is in the Details: Examining Matt Murdock and Daredevil, edited by Ryan K. Lindsay. For half a century, Daredevil has been an outsider and a paradox, a loner, a down-to-earth super-hero, a blind man with super-powers, and the star of some of Marvel's most celebrated stories. The Devil is in the Details examines both Daredevil and his alter ego, Matt Murdock, from a variety of critical perspectives. Whether it's explorations of Daredevil's troubled history with love, his relationship to Foggy Nelson or Spider-Man, or new takes on his classic runs, this is one book no Daredevil fan or scholar should be without.